JP Morgan Chase and InvestCloud, a California-based fintech firm, are partnering to develop digital capabilities for individual investors at both the JP Morgan and Chase franchises. JP Morgan has also made an equity investment in InvestCloud, but hasn’t revealed the figures. This investment is just one part of JP Morgan’s three-year $300 million digital strategy to improve in asset management. Jamie Dimon, CEO of JP Morgan Chase, says InvestCloud has a “track record of driving innovation for its institutional clients”. Beginning in 2017, the firm’s wealth management clients at JP Morgan and Chase will be able to access user-driven online investing through dashboards, additional mobile functionalities, and account opening. Incrementally, JP Morgan will release new features for client interactions with advisors, and “further personalise” the integration of JP Morgan’s market insights. InvestCloud offers a proprietary PWP (programs-writing-programs) platform. It says this digital applet platform supports $1.5 trillion in assets under management across 660 institutions. 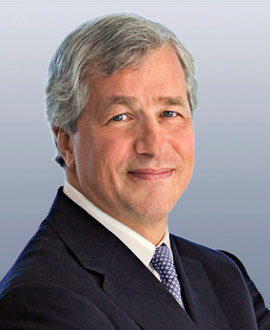 Looking at the big picture, this latest deal is seen as Dimon’s response to the surge in Silicon Valley start-ups. Last year, he said these firms were coming to disrupt its business. Rather than fight them, he’s chosen to hug them. Enabling account holders to safely share their financial data with third-party fintech applications.